McAlinden & Murtagh is a well established family run business offering you help, support and guidance during what we know is the most difficult time. Losing someone close and having to consider saying goodbye can be so painful and we understand the difficulty of having to make all the necessary arrangements thereafter, but we aim to make this much easier and take that burden away from you. 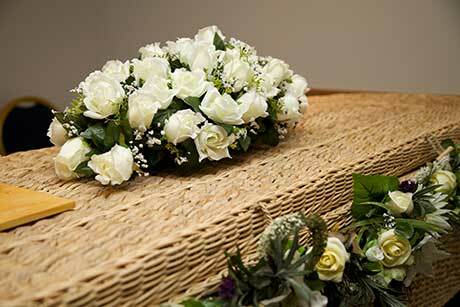 We deal with all aspects of the funeral from the offset, the wake, the service, flowers, catering and final resting place. It is all about making sure we fulfil your loved one’s final wishes with discretion and no fuss, just ensure that you are given the time and space at this very sad time. We can come and meet you or you can meet us in our premises, all that is important is we make it as easy and painless for you.